Ashwin, Kuldeep or Jadeja: Who should be India’s leading spinner in Australia? In the upcoming Australia test series later this year, India will have to select only one spinner in their playing eleven, except probably in Sydney. So, who should that spinner be? It seems like the ongoing West Indies series is an audition for the much sterner test in Australia. Ashwin, Kuldeep and Jadeja are under the microscope. 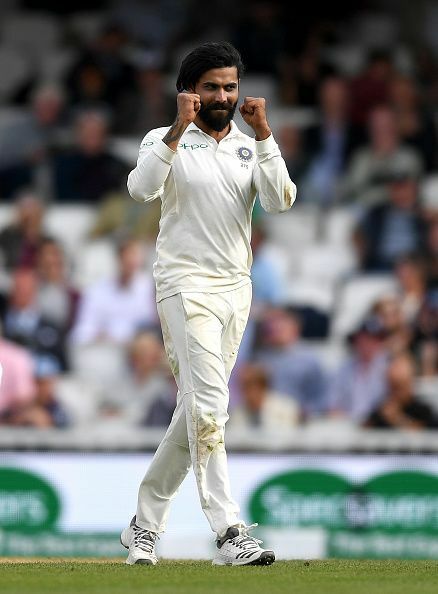 Both Ashwin and Kuldeep have bowled well in the first test, and Jadeja has done very well with the bat, and not so shabbily with the ball, either. So, who among these three should be entrusted with the role of being India’s lone spinner in at least three out of the four tests in Australia? Lets’ cut to the chase, straightaway. Ravichandran Ashwin is a terrific off-spinner – he has a variety of skills and an astute cricketing brain. He has also added variety to his arsenal by developing an accurate leg spinner! He has great numbers when it comes to taking wickets in test matches. But a closer look will show that he is a great bowler in home / sub-continental conditions, but just about an average bowler in overseas conditions. He has often been selected by Indian captains, whether Dhoni or Kohli, as India’s only spinner in the playing eleven overseas. And he has failed India time and time again. The recently concluded England series is a stark reminder of how Ashwin underperforms in overseas conditions. Ordinary spinners like Moeen Ali have outperformed him. That’s a crying shame for a bowler who is regarded as one of the best spinners in contemporary world cricket. He has got a lot of opportunities and has failed to prove his worth. Age too is not on his side. It’s time to move on. Ashwin should continue to be picked for the home series or maybe test series in other Asian countries. He is a match-winner only in Asian conditions. The selection committee and the team management must understand this reality and make the appropriate call. Ravindra Jadeja has been the second spinner in the Indian team behind Ashwin. He has led India to victory in many a Test series at home, in tandem with Ashwin. But he has been relegated to warm the benches most of the time in overseas conditions, when there is a place for only one spinner in the playing eleven. Maybe it’s time to entrust Jadeja with the responsibility of being India’s leading spinner in overseas conditions. Moreover, Jadeja will give heft to India’s batting strength. There was a similar scenario during Sourav Ganguly’s captaincy. Disappointed by the repeated failures of Anil Kumble in overseas conditions, Dada chose Harbhajan Singh as India’s leading spinner in quite a few overseas series. Harbhajan did not perform that well either, barring some exceptions. But then this reinvigorated Kumble and he forced his way into Ganguly’s team as a better bowler. Who knows this may work with Ashwin too? By including Kuldeep Yadav in the playing eleven in the Rajkot test, it seems the Indian team management are exploring a third option. Kuldeep has the variety and right temperament. His test by fire in the only test he played in England must have helped him understand his own abilities and weaknesses better. 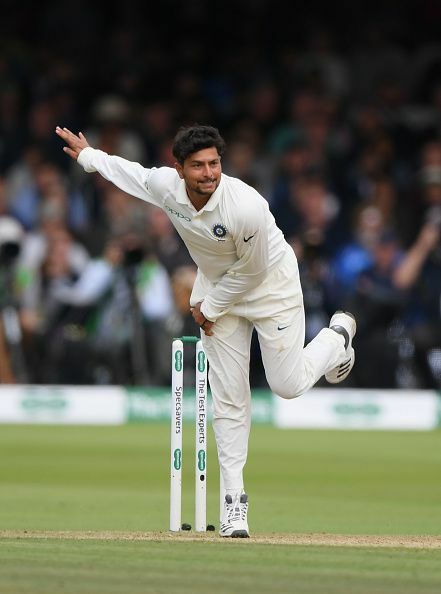 Kuldeep’s five-wicket haul in the Rajkot test and the expected success in the second Test too will fill him with confidence. He is young and relatively unscarred by failures. So, India could seriously look at him as the leading spinner in overseas conditions. In any case, it has to be either Kuldeep or Jadeja, who should be India’s preferred spinner in the Australian Series. It’s time to move beyond Ashwin in overseas conditions.